A call to praise the thrice-holy sovereign God of Israel for his grace. 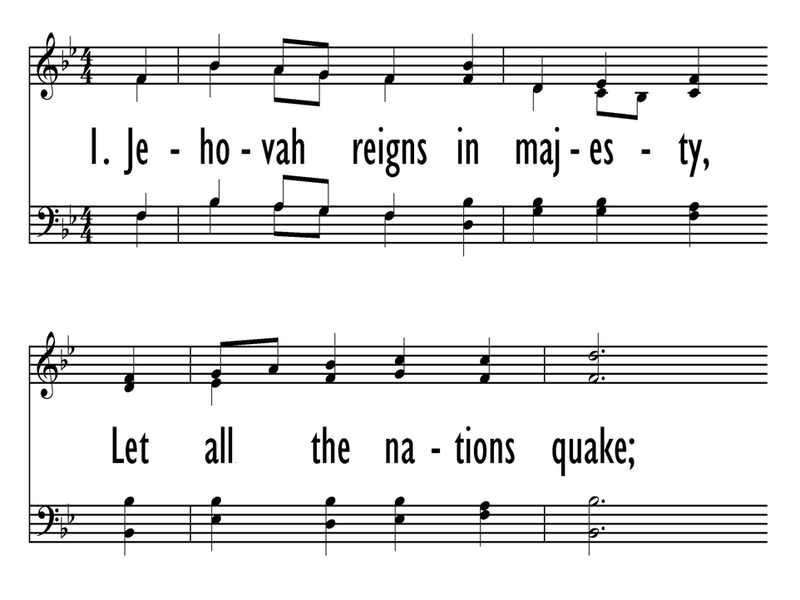 The Levites used Psalm 99 in the liturgy of a yearly high religious festival celebrating the LORD's worldwide rule (perhaps the Feast of Tabernacles). The psalm opens with a call to all nations to praise the God of Israel (st. 1), exhorts Israel to exalt their mighty King for performing righteous deeds in their behalf (st. 2), and recalls examples of God's gracious response to Israel's need for deliverance. It closes with a grateful remembrance of God's forgiveness (st. 3). Verses 3,5, and 9 close with "God is holy," a poetic echo of the trisagion (see Isa. 6:3) and a reflection of the ancient liturgical penchant for triple repetition. 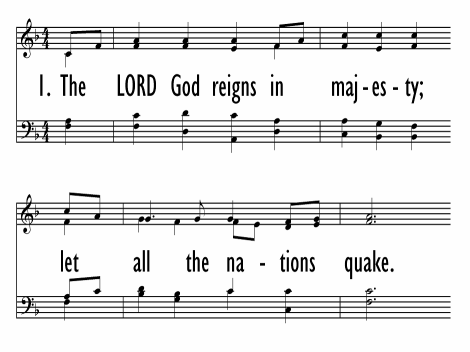 The versification (altered) is from the 1912 Psalter. Ascension (see also 47, 93, and 110); like the others in the cluster 92-100, this psalm is appropriate for many different worship occasions. James McGranahan (b. Adamsville, PA, 1840; d. Kinsman, OH, 1907) first published NONE BUT CHRIST in his Sacred Songs and Solos (1883) as the setting for the anonymous text "O Christ, in Thee My Soul Hath Found." NONE BUT CHRIST is a dynamic tune; because three of the lines open as a fanfare, brass accompaniment would be very fitting. Keep the accompaniment strong and brisk on the repeated soprano notes. Of Scottish-Irish descent, McGranahan grew up on the family farm, and his father expected him to become a farmer. Because he wanted to study music, McGranahan hired another person to do the farm work while he earned his own money for music study. He attended William Bradbury's (PHH 114) Normal Music School at Geneseo, New York, conducted singing schools in Pennsylvania and New York, and taught at and managed George F. Root's (PHH 93) Normal Musical Institution for three summers. In 1877 he became a song leader for evangelist Major D. W. Whittle (PHH 495) and toured England and the United States; their association lasted some eleven years. A fine singer himself, McGranahan was one of the first to use male choruses in evangelistic crusades. He published The Gospel Male Choir (1878, 1883) and served as editor and compiler of numerous collections, including Gospel Hymns and Sacred Songs, No. 3-6 (1878-1891) with Ira D. Sankey (PHH 73) and George Stebbins (PHH 63).